What an astounding wealth of understanding, insight, courage, vision and true musical exploration this man, and this outstanding documentary represents. Alan Lomax nam in de dertiger jaren volksmuziek op in de zuidelijke Verenigde Staten en ontdekte Leadbelly, Woody Guthrie en Fred McDowell. Vanaf 1950 reisde hij door Europa. Opgebouwd als een roadmovie volgt de documentaire de sporen van Lomax in Schotland, Spanje en Zuid-Italië. Author: tavm from Baton Rouge, La. For years, I've heard about Alan Lomax and his folk recordings for the Library of Congress but it wasn't until I saw this documentary on the PBS series P.O.V. that I even had an inkling of what he did. This film is as good a start as any to learn about this important researcher and his preservation efforts among various folk artists around the world. We go to Italy, Spain, and, Ireland to hear various work songs and we see Lomax himself sing some of his favorites. He is shown in various times in his life up to just before he died in 2002 when he could hardly speak. 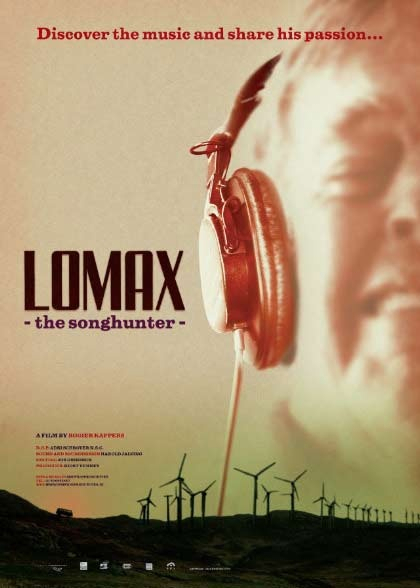 And Pete Seeger recounts of his own discovery by Lomax. So if you love to hear unique music of various cultures, I suggest you definitely seek this one out.